How do youth surface the information needs of others and provide the best information at the right time? How do they search, mix and curate information? How can youth be supported through app co-designing, information services, and policy making? In 2010, the U.S. Impact Study found that people ages 14 -18 were 2-3 times more likely than other age groups to use library computers on behalf of someone else, especially if they spoke languages other than English at home. This finding confirmed my earlier work and bellowed for a deep dive into understanding youth as information mediaries, which I undertook with UW iSchool doctoral candidates Lassana Magassa and Phil Fawcett (Phil is also a Principal Research Program Manager at Microsoft Research), and Dr. Ann Bishop, Associate Professor Emerita, University of Illinois. Digital youth are young people who are growing up having always had technology around them. Focused in the Seattle-Tukwila area, InfoMe, funded by an IMLS National Leadership Grant, uses mixed-method programming involving youth, families, libraries, and community partners in the exploration of how youth, ages 14-19, help others with everyday situations through information and technology. 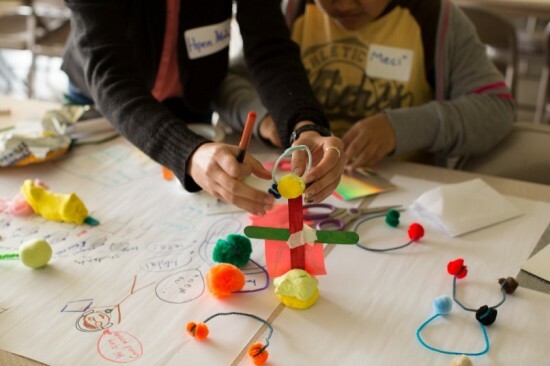 Using co-design in library-community settings, the researchers have worked with over 50 immigrant and refugee teens from Asia and East Africa. Findings reveal the crucial information role youth play in helping friends, relatives, schools, NGOs, and even complete strangers. Youth derive immense satisfaction from helping parents find jobs and obtain medical care for their families, helping elderly neighbors get nutritious food, easing other students in transition into the public school system, and helping younger siblings achieve their academic dreams and feel safe in their new communities. But they also report feeling stressed, tired, and worried that their own education and social relationships may be suffering. The research includes the Teen Design Days —workshops, in which youth shared their experiences through drawings, stories, and dramatic play. These workshops helped them design prototypes of library services and digital technologies to improve their info mediary tasks. These budding designers came up with ideas for robot helpers, how-to picture books, apps for church potluck suppers, digital kiosks at bus stops, and backpacks filled with gear to assist the homeless. Microsoft researchers and King County public librarians are gleaning new ideas from the teens’ design presentations. They are also gaining compelling insights into the minds and hearts of an often overlooked user group; indeed, they begin to see immigrant and refugee teens as potential co-creators of their products and services. My team has also completed preliminary data collection through a written survey of the information practices of teens from Myanmar (Burma). The survey delves into the “hows” and “whys” of immigrant info mediary behavior, suggesting, for example, that most teens provide information help on nearly a daily basis primarily using cell phones, face-to-face communication, and computers. The early data suggest that teens help their mothers/female guardians more than their fathers/male guardians and in different ways. 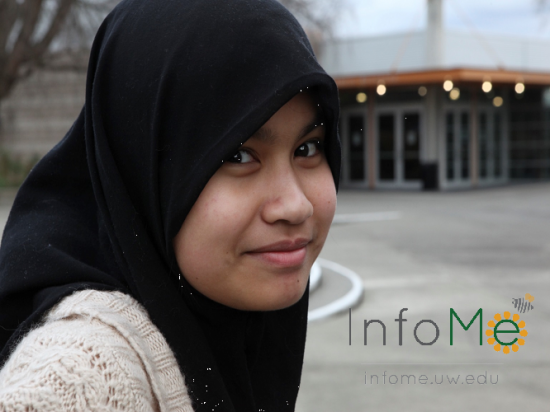 The InfoMe survey is set to roll out this fall in high schools around Seattle, one of the most internationally diverse cities in the U.S., and with about 500 responses, it will yield results generalizable to all teens in King County. See InfoMe in action and learn more, or if you are interested in holding Teen Design Days in your community, contact Professor Karen Fisher (fisher@uw.edu).